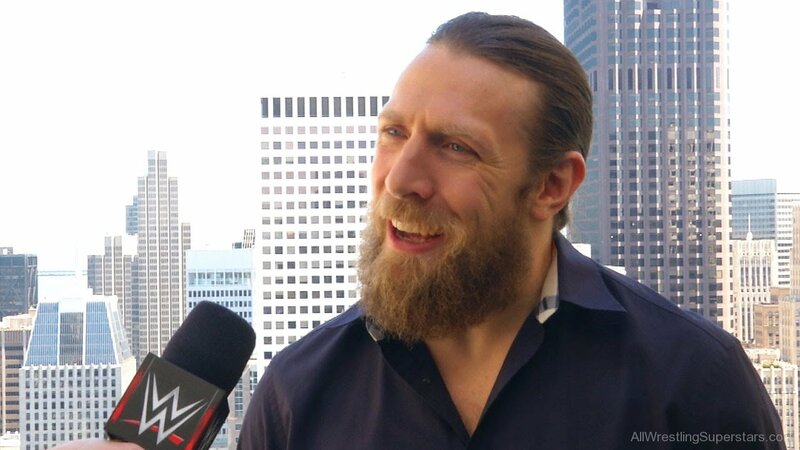 Daniel Bryan was recently on Booker T’s podcast to talk all things wrestling and his recent return to the ring. But topics took a bit of a turn when Booker asked Bryan if he still believes he can defeat CM Punk’s last UFC opponent, Mike Jackson. Bryan explained the situation a little more fully. “What was happening was, my wife (Brie) was on Instagram, and she was doing a live thing, to promote Total Bellas”, Bryan explained. “And it was like, ‘Oh, Bryan is here with me. Does anybody want to ask him a question?’ And somebody popped up and said, ‘Do you think you could beat Mike Jackson?’ And it wasn’t like I’ve been sitting around thinking, ‘I guess this is my shot. I’m going to call him out on Brie’s Instagram story. Booker T then chimed in, and asked Bryan if he really thought he could submit a former UFC fighter in an MMA fight. Daniel admitted that it could be false confidence. “Yes (I could submit him), but that could be false confidence. I’m very open to that (idea). I think most people who know me know this. If I were to say like, ‘Yeah, I think I could beat Mike Jackson’, it’s that. It’s not me being like, ‘Oh, I would kill that man! I would go out there and destroy that man!’ It’s no disrespect to him, it’s no disrespect to CM Punk. It was the first time I ever actually watched a UFC show where somebody won a fight, and I thought, ‘You know what? I think I could beat that guy’. And just say that, ‘Oh, I’ve toyed around with jiu – jitsu’ or whatever it is, and I’ve been training grappling and stuff for a lot of years. I’ve been training kickboxing and stuff for a lot of years. Bryan is no stranger to mixed martial arts or MMA fighters. He once shared an apartment with former UFC Light Heavyweight Champion and MMA legend Lyoto Machida. During the conversation, Bryan dwelled on how he wouldn’t be as aggressive if he were to dabble in MMA. “So, my thinking is, if I could survive a six month camp, I think I could beat him. But that said, he also has a lot of experience, he’s gone out there and done… like, I’ve never gone out there and done any real combat fighting. I’ve done a lot of sparring with a lot of high level people, but that’s not the same thing as a fight. And I think one of the things a lot of people will say about me, and I will say about myself… for example, I hated games in high school football. I loved practice, right? Because then I’m just hitting my buddies. I loved practicing, and if I hit somebody, I could talk crap to them next day in school. You get me out there in a game, I don’t care about hitting these people. I don’t know them! It’s a stupid game, and that’s kind of my attitude in sports in general.